Elder Scrolls Online has updated to 15 and the Horns of the Reach DLC online was released. 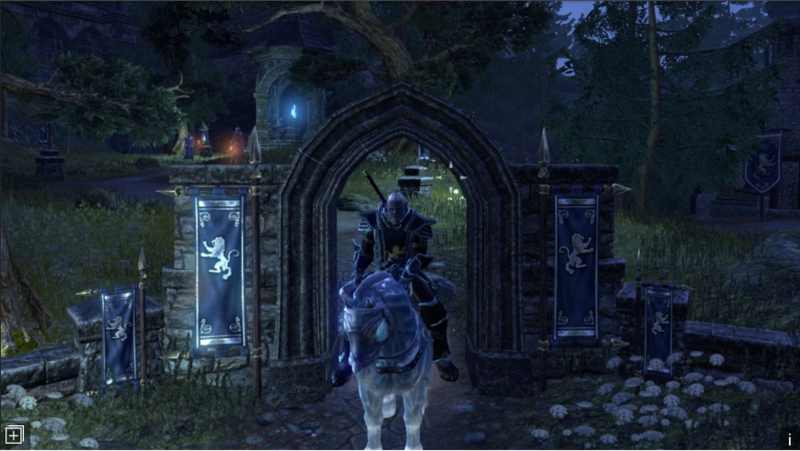 If you have a plus membership you can go straight into the new content or you can also buy 1,500 Crowns from the Crown Store, or a special collector’s bundle for 3,500 Crowns can also be used. The new edition 15 brings us a number of game-wide quality of life improvements. The champion points can be raised to 660. There are also new crafting motifs, improvements to Crafting and Guild functionality are also included. The Horns of the Reach DLC online contains two new dungeons: Falkreath Hold and Bloodroot Forge and a few new items. Even players don’t buy the DLC they will also be getting new content today such as the new PvP Battleground mode and a new map, Arcane University.below is some summary improvements of Update 15. Combat Cue customization has now been added to the in-game Settings, allowing you to customize the colors associated with the different in-game combat cues. This setting will be especially useful to those players who have trouble identifying certain colors in game, but anybody can edit and customize the combat cues however they see fit, including color and brightness for both friendly and enemy indicators. Don’t worry if you are failed to customize your Combat Cues, you can select Gameplay and find Combat Cues and Custom Colors under the Combat section. If you’re a PvP player or a master crafter, you will now be able to store your Alliance Points or Writ Vouchers in your bank. This means you can share both AP and your Writ Vouchers with any of your other characters on your account. To store these items, visit a banker and use the Deposit Currency option. Note that while you can store and transfer AP between characters on an account, a character’s Alliance Rank or progress in Alliance War Skill Lines will not transfer. By the way if you want to withdraw Alliance Points or Writ Vouchers, you can do it form the Withdraw Currency option just as you withdraw Gold or Tel Var Stones. No longer do you have to get naked to improve your equipped gear. With Update 15, you will now be able to improve any currently-equipped items right then and there, and will find equipped items in the improvements crafting menu. If your device is PC, equipped items will be indicated with a checkmark in the Improvement menu, and if on console (PlayStation 4 and Xbox One) they will be under the “Equipped” section for the item type. Guild management has been improved with the addition of the guild invite history function. This will allow Guildmasters and other members to check who within their guild invited who, helping leaders better manage their (often very large) rosters. To access the guild invite history, open the Guild menu and navigate to History, then select Roster. A new permission has also been added to the Guild ranking system that enables Guildmasters to dictate whether or not a guild member can view their guild’s current bank funds. This will allow them to keep their guild finances as secret or as open as they’d like. We know that this was a highly requested feature from many of our trading guilds, so we’re very happy to finally make it available. Guild leaders can set the View Guild Bank Gold permission in their Guild’s Ranks menu. Ever wished you could cancel some crafting research to free up the spot for a different one? Now you can! Research cancelling allows you to immediately and unceremoniously cancel any in-progress research. Note that if you cancel some research, the item that was destroyed to begin the process will not be restored to you, so choose carefully! To cancel some currently-in-progress research, use a Crafting Station and navigate to the Research menu, find the item you wish to cancel, select Cancel Research, and finally confirm. You will then be able to research a different Trait! Hope the Summary is helpful for you and you can also visit the Elder scrolls Oline site to learn more. Posted in Elder Scrolls Online. Tagged Horns Of The Reach DLC, the ESO Update 15.